Imagine controlling your lights and TV just by touching the arm of your couch. Imagine running your fingers along your sleeve to control your smartphone device. Imagine throwing away your fitness tracking band because your clothing did the measurements instead. All of these ideas already exist at the prototype level and I’ve chatted about jackets and other clothing that can unlock your car and light up motifs before. However, yesterday the interactive clothing technology concept took one giant step closer to large scale commercial availability thanks to Google’s advanced technology and platforms team (ATAP) launch of Project Jacquard. To understand how this works, you first need to understand how touchscreens work. I’ve previously explained touchscreen technology but briefly, underneath the glass of your screen lies a grid of conductive wires which register a neutral charge state. As the human body has a natural capacitance (meaning we are all electrically conductive), touching this grid changes the electrical charge at that point of contact which can be registered electronically as a touch response. Touch sensitive clothing involves removing the glass screen and replacing the conductive wires with conductive yarn which can be woven into the normal fabric. Conductive yarn can be made in two ways, either regular fabric such as cotton, nylon or polyester is coated with conductive nanoparticles like silver or carbon nanotubes to make them conductive or conductive threads like carbon fibre can be twisted into the regular thread creating a conductive hybrid yarn. The biggest drawback to conductive fabrics is that they need to have several other properties in addition to conductivity. Flexibility, stiffness, abrasion resistance, elasticity, wrinkle recovery to name just a few currently limit the longevity and practicality of conductive fabrics. These new fibres not only need to transfer electrons, but also last many wash cycles, cope with rubbing against other fibres, stretch without breaking, be able to hold colour through dyes and feel the same as other fibres when touched. 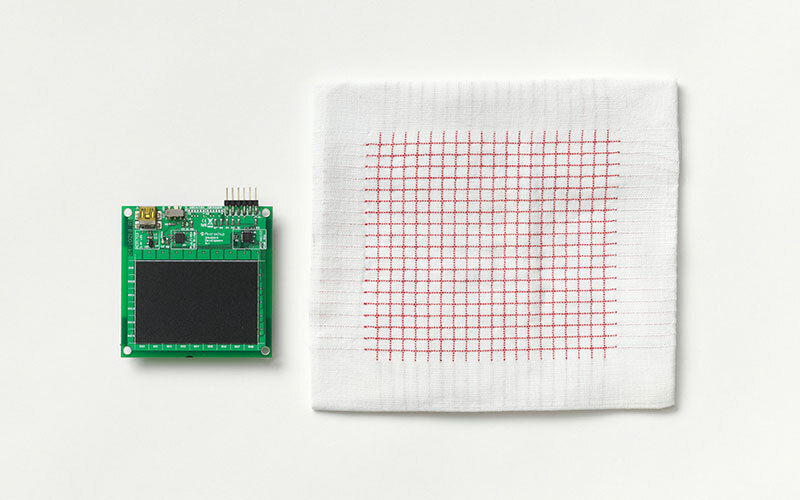 The Google Jacquard project claims to have overcome some of the strength issues by creating a conductive yarn that is strong enough to be woven on an industrial loom, taking steps towards mass manufacturing capabilities. Creating long lasting conductive yarns is only half of the battle, next you have to connect the yarn to electrical connectors and circuits in a subtle way so that the measured touch can be converted into a signal that is recognized by your device. Ideally being able to hide this technology into a button or zip would allow current clothing features to have multiple functions, but we are only just getting to the point where all of the technology needed is small enough to be able to fit into a button. 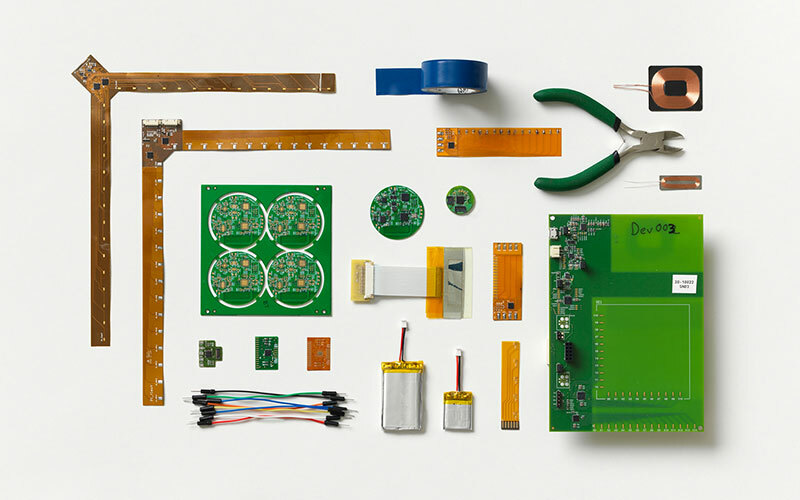 Sensor fasteners, pressure sensitive pads for push touch fabrics, woven circuits are all in existence today, the question is, can Google take these one off concepts and help reliably scale up the technology so you can hide technology in any type of clothing? You may wonder why Google would want to get into clothing, and my guess is that they don’t. Google is good at software, and what better way to be a world leader in software technology than to help create a potentially huge new market that needs apps and API’s (application program interfaces) which Google could lead the world in by helping to create the hardware first. They haven’t announced a product yet, but they have announced Levi’s jeans as their first clothing partner making me imagine a new denim line of boot cut jeans with integrated system boot in our future! So it looks like the day that tech clothing can be bought from your favourite store is getting closer, but until then, we can watch this video and get excited about the possible capabilities from our clothes of the future.